Are you like me? 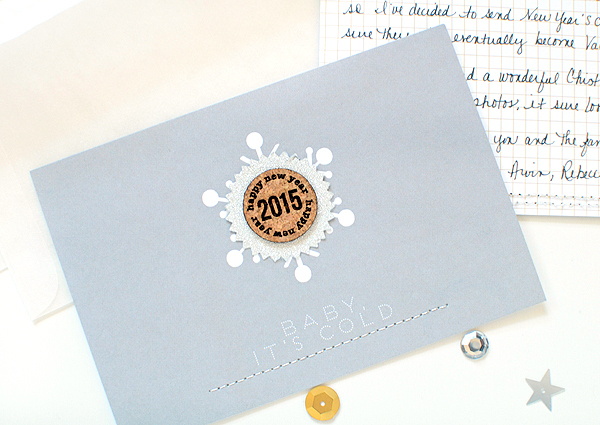 Did you just HAVE to have the Gossamer Blue December Memories kit? Did something compel you to own it, even though you knew keeping up with an album during the busiest time of year was a pipe dream? Well, you are in luck! Even if you were a rock star and finished your December album, I bet you have a few things left over. 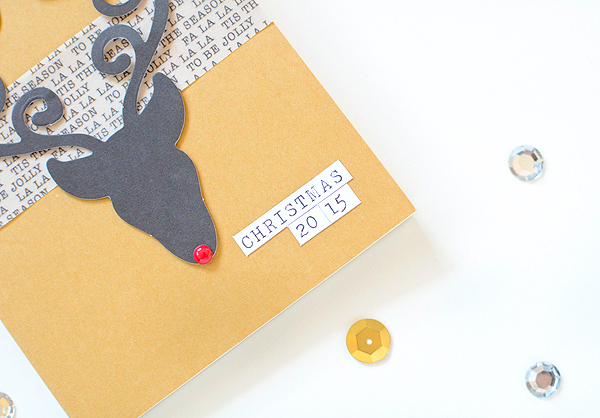 I'm going to show you how you can keep using the items from the kit, even though December and Christmas are behind us. I actually had no intentions of doing a December album because I knew I'd never be able to keep up. However, the kit was packed full of beautifully festive items so I still wanted to have it in my possession. I made an Advent calendar with mine, but was surprised at the amount of supplies I had left. It seemed like such a shame to pack up the kit and put it away so I came up with some other projects I could make with it. And with the help of the January kits, I quickly realized how versatile this kit really is. 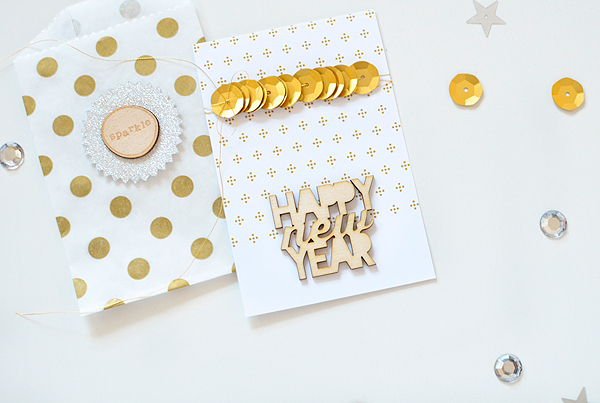 As you saw above, the gold elements make it perfect for ringing in the New Year! 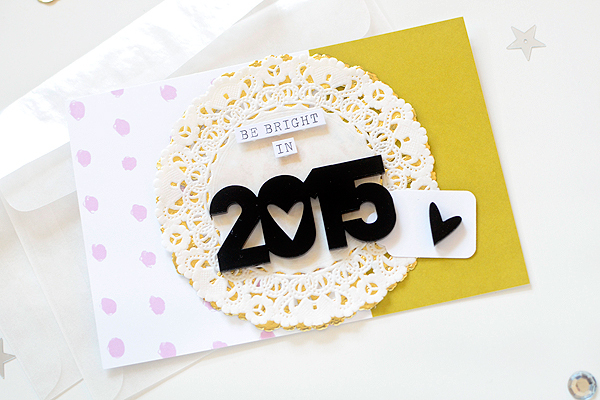 With the hustle and bustle of the holidays, sending New Year or January greetings is becoming the new holiday card. I like this idea a lot since my own life starts getting hectic in October with birthdays, which leads right into all of the holiday frenzy. I haven't had a chance to send out a holiday card since my son was born 4 years ago. 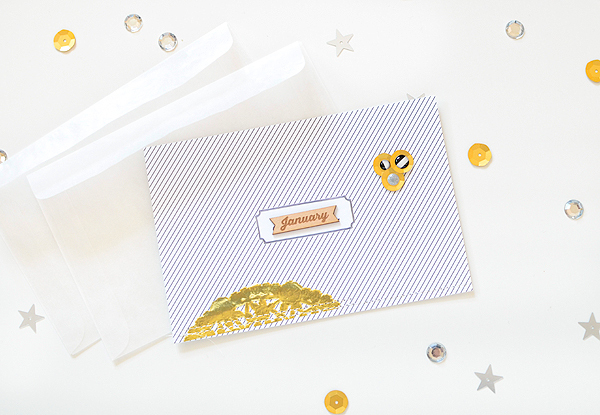 I'm making an effort in 2015 to write more letters and this is a great way to kick off that resolution. 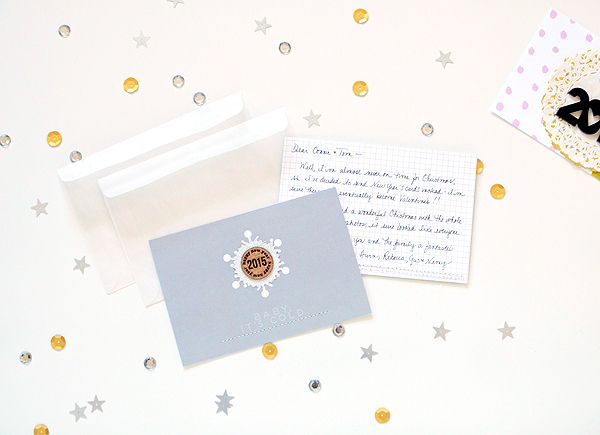 Dressing up the journaling cards from the DM kit makes a quick and easy way to send one-of-a-kind greetings. Most have a light grid pattern on the back and I was able to write quick messages to family and friends. Even quicker? Adhere a 4x6 family photo to the back instead. I slipped them into glassine envelopes and will add my address labels and postage when I'm all finished. They'll look pretty in the mailboxes and couldn't have been easier to make! 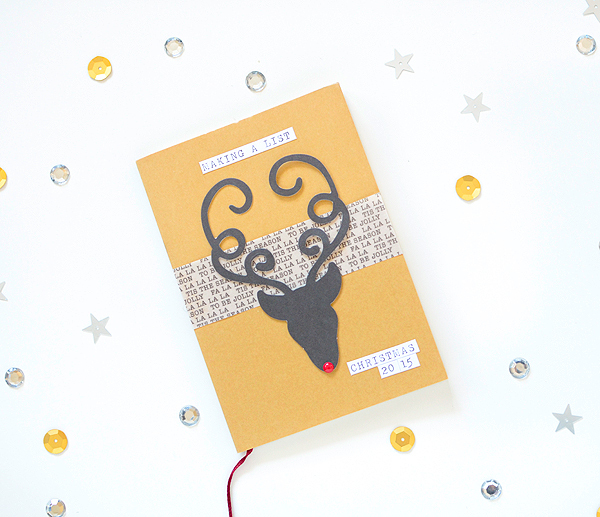 The next project I made with my kit was a notebook for next year. I had so many ideas for the 2014 holiday season and I don't think I even completed half of them. 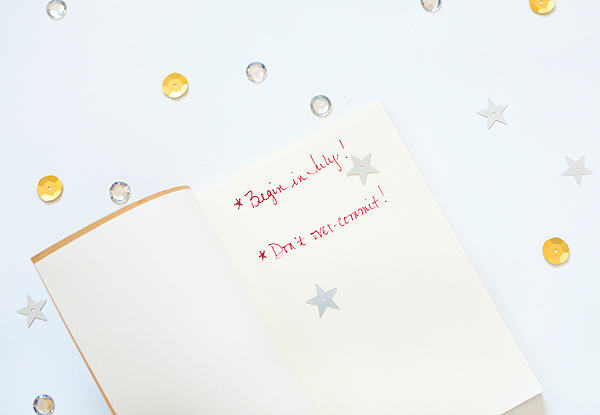 I wanted to keep the ideas all together for 2015 so I can be a little more organized next year. As you may be able to tell, these are 2 important concepts I don't want to forget! This is a small journal and I'll be keeping it out with the rest of my list pads so I can add to it as ideas strike me over the next few months. I have to be ready to get going in July, after all! I think my most favorite item in the entire DM kit was the word sticker sheet. I used the phrases on all kinds of projects this year and found it so handy to be able to just peel and stick as I needed them instead of typing sentiments out on my computer or typewriter. 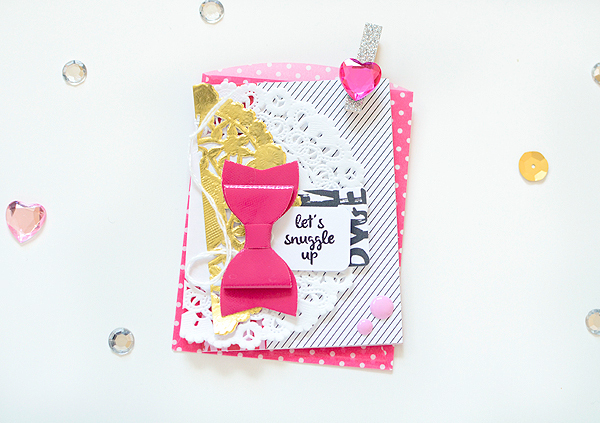 And finally, Valentine's Day will soon be upon us and did you happen to see some pretty pink embellishments and cards in the DM kit? They're perfect for valentines! I simply folded the 4x6 journaling cards in half and added some embellishments--here I used silver enamel dots and a wood veneer ampersand from Get Happy, the gray snowflake flair and word stickers from DM, and a pink rhinestone heart from the January Main kit. 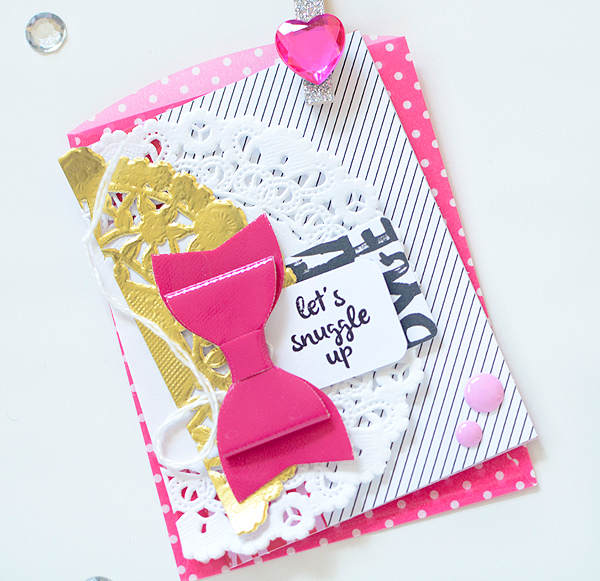 The bright pink bow from January's Themed Add-on is another pretty addition and this "let's snuggle up" stamp from the DM kit makes a cute tag for this card. 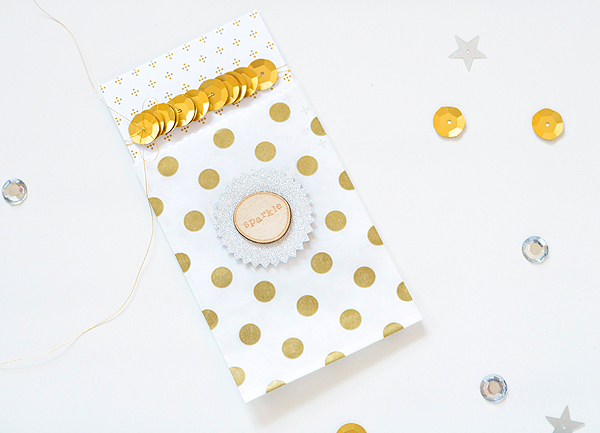 The gold and white doilies are also found in the DM kit--I use doilies on everything so they definitely come in handy all year!